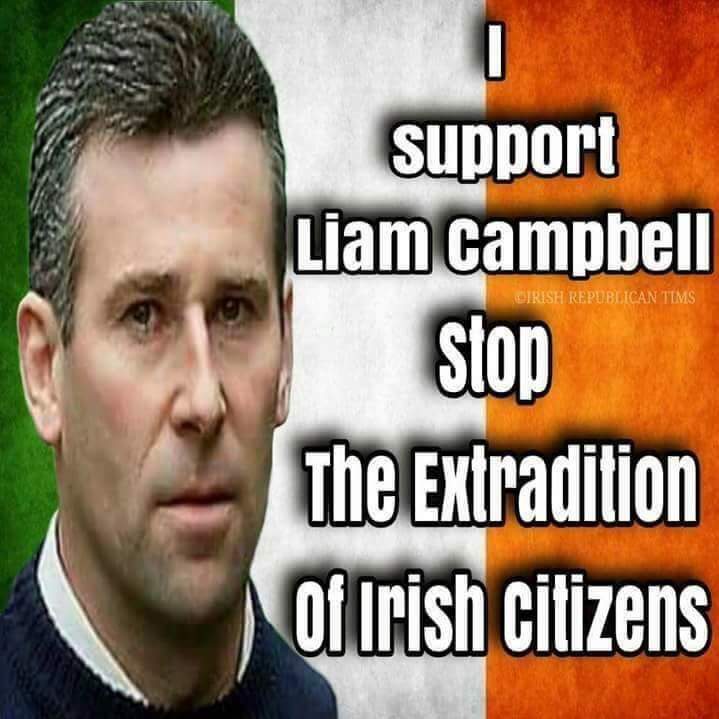 Liam Campbell, an alleged Real IRA leader, will argue that he cannot receive a fair trial in Lithuania because his brother’s terrorism conviction was found to have been based on entrapment. Campbell, 54, of Upper Faughart in north Louth, who was found liable for the 1998 Omagh bomb in a civil action eight years ago, appeared in the High Court in Dublin yesterday to contest his extradition to Lithuania, where he is accused of a Real IRA plot to buy large quantities of explosives and weapons. Brian Gageby, his barrister, told the court that he wanted an adjournment while he sought an English translation of Michael Campbell’s trial and appeal in Vilnius. Mr Gageby is preparing to argue that Liam Campbell cannot receive a fair trial, which is required under Article 6 of the European Convention on Human Rights. Campbell’s brother was convicted in Lithuania in 2011 of conspiracy to buy weapons and explosives, following a joint MI5-Lithuanian police operation. Michael Campbell was jailed for twelve years but his conviction was overturned on appeal in 2013 on the grounds that he was entrapped by MI5. Liam Campbell is now seeking a transcript of that appeal to use in his case. Since Michael Campbell returned to Ireland the highest court in Lithuania overturned the appeal, finding that the appeal court erred in putting too much weight on entrapment defence. As a result Michael Campbell may also be extradited back to Lithuania. Judge Aileen Donnelly agreed to adjourn Liam Campbell’s case for a month yesterday to allow the state and the defence to prepare documents. Campbell is receiving free legal aid to fight extradition, claiming that he will not get a fair trial and also that prison conditions in Lithuania are so bad that they violate Article 3 of the European Convention on Human Rights. The article prohibits extradition if there is a “substantial risk” that the person will undergo inhumane or degrading treatment. He won on Article 3 grounds when Lithuania sought to extradite him from Northern Ireland, after which he was released by the High Court in Belfast and was rearrested in the Republic. Campbell’s co-accused, Brendan McGuigan, 36, of Omeath, Co Louth, was previously released by the High Court in Dublin, also because prison conditions in Lithuania would be a violation of his rights under Article 3. Both men are wanted in Lithuania for allegedly organising a Real IRA explosives and weapons importation scheme. A Lithuanian arrest warrant read in court states that Campbell “made arrangements for illegal possession of a considerable amount of powerful firearms, ammunition, explosive devices and substances” to be exported from Lithuania to Ireland for use by a “terrorist grouping”. The cargo was allegedly to include sniper rifles, rocket launchers, RPG-7 rockets, hand-grenades and Semtex explosives. 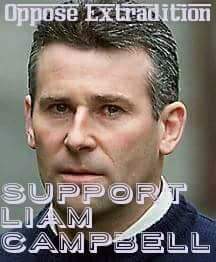 Campbell was allegedly a senior Real IRA member when the offences were committed in late 2006 and early 2007 and is alleged to have met with a British intelligence officer posing as an east European arms dealer.